Latest London cabaret and theatre news is that there is a new venue for cabaret, comedy , music and drama opening in London on June 28th at the Southern Cross Pub, 65 New Kings Road, Parsons Green. The London Theatre Workshop will launch the venue with a 6-week festival of Fringe theatre, including cabaret, and it all looks to be an exciting new venture. Sarah Shelton and Ray Rackham are the Creative Producer and Artistic Director of the Workshop and they aim to “..to create a flexible performance and workshop space in London which will become a hub for artistic innovation” says Ray. 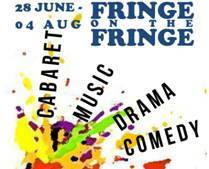 This entry was posted in Features - Theatre and Cabaret News and tagged fiona jane weston, London cabaret, London fringe theatre, London theatre, Ray Rackham, Sarah Shelton, Southern Cross pub Fulham, Upstairs at the Southern Cross. Bookmark the permalink.